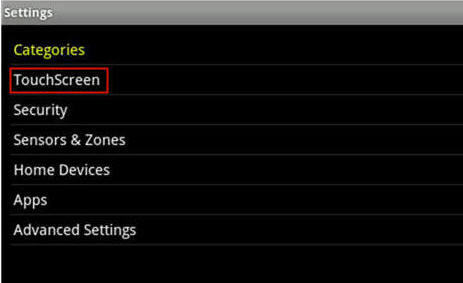 Follow these steps to adjust the volume for Touchscreen tones. The Touchscreen makes a tone when a security zone is opened or closed. On the Touchscreen home screen, tap Settings. 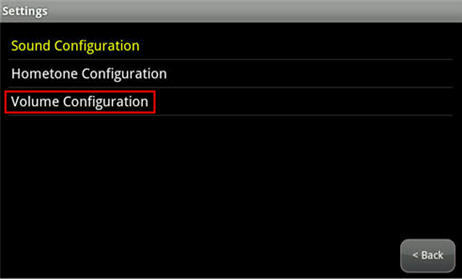 Enter the Master Code to proceed to the Settings menu. From the Settings menu, tap TouchScreen. From the TouchScreen menu, tap Sound Configuration. 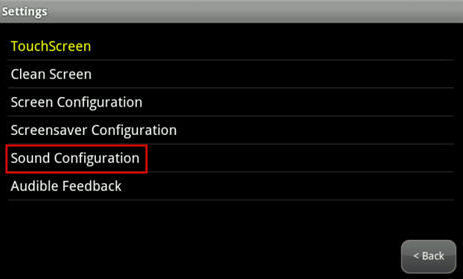 From the Sound Configuration menu, tap Volume Configuration. 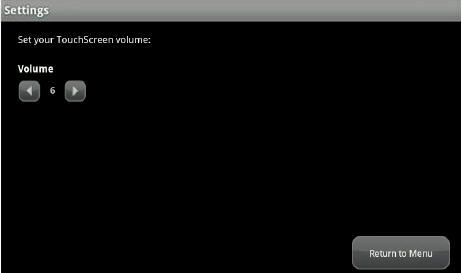 The volume controls display on the screen. Use the left arrow to decrease the volume, use the right arrow to increase the volume. Note: The maximum volume is 7, the minimum is 1.